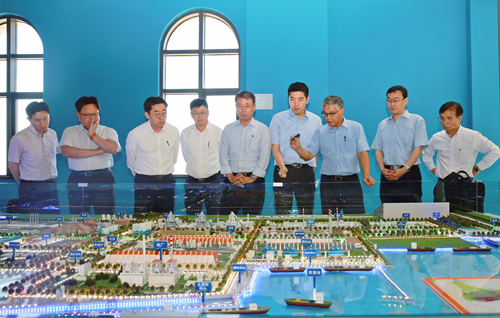 A delegation led by In-hwan Oh, president of the largest iron and steel manufacturer in South Korea -- Pohang Iron and Steel Co Ltd (POSCO), visited Baosteel Zhanjiang recently to strengthen exchanges and cooperation. 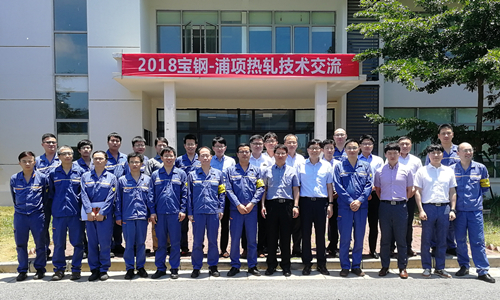 The delegates were first briefed on the overall situation and development course of Baosteel Zhanjiang. They spoke highly of the company's advanced management, comprehensive capability and green development philosophy. The two sides conducted an in-depth discussion about intelligent manufacturing, technical skills and on-site management at the symposium. For mutual benefit, both of them agreed to ramp up cooperation in advancing hot rolling technology. Founded in 1968, POSCO is rated as the world's most competitive steelmaker by Morgan Stanley. It produces more than 2.6 million tons of iron and steel products annually, which are exported to over 60 countries. According to an executive from Baosteel Zhanjiang, the company will step up to align itself with POSCO through such communications.